Noodles are the ultimate comfort food. Whether you like them in a simple broth or you prefer them as part of a more complex Thai or Japanese dish, they’re always the best part of any meal. The following places in New Hampshire are known for their noodles. Check one out the next time you have a craving! 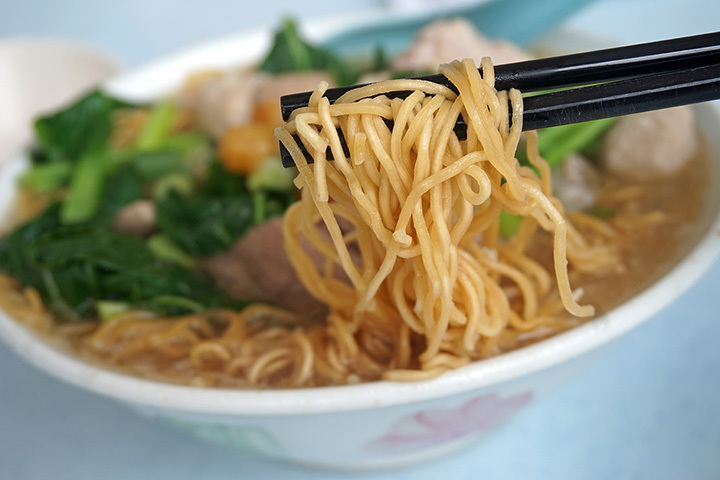 Specializing in pho—or Vietnamese noodle soups—Saigon Noodles has a house specialty in addition to several additional ways to love noodles. Try their Pho dac Biet. It’s made with beef tender, beef ball and tripe, along with their special noodles. Enjoy one of several kinds of pho (noodle soup) or a Vermicelli Bowl at Little Tokyo & Saigon. Either option will fill you up with broth, vegetables, noodles, and more. Their pan-fried noodles with chicken, shrimp or veggies (Yaki Udon) are delicious, too. You’ll go crazy for Crazy Noodle House once you’ve tried even just one of their delicious dishes. Their ramen is served in miso soup with bok choy and mushrooms, and is a hearty meal. Try their dried noodles in a cabbage preserve with onions, bok choy, fried garlic, and bean sprouts. Located just steps from Portsmouth’s riverfront, Domo Japanese Restaurant serves up some amazing noodle dishes in their cozy, but elegant dining room. Consider ordering their Nabe Yaki Udon. It’s Udon soup with chicken, seafood, eggs, and vegetables and a side of shrimp tempura. Hot and spicy ramen bowls await customers at Noodles & Pearls. The hearty dishes will leave you satisfied and with little to no room for anything else. Since being open for just a few months, the restaurant has ironed out their minor glitches and serves delicious noodle dishes. You’ll be glad you gave them a try! The Organic Green Tea Noodles is a fan favorite at Green Elephant Vegetarian Bistro + Bar. Made with miso soup and napa cabbage, it features a soy filet with seaweed and scallions. Noodle lovers will be hard pressed to find a tastier, healthy noodle dish. Enjoy noodles in a variety of ways at Kata Thai Kitchen. Whether trying out their Tom Ka or Tom Yum Noodle Soup or option for an option like Kum Gai or Pad Thai, you’ll love the combination of textures and flavors that make this food so enticing. Pad Kee Mao (Drunken Noodles) is a very popular dish at Bangkok Thai Food. Made with fried flat rice noodles, customers choose their meat, and then enjoy the dish enhanced with fresh basil leaves, peppers, onions, carrots, broccoli and tomatoes. Their menu features several additional noodle soups and entrees. Japanese noodles delight the palate and satisfy anyone’s hunger at Lee & Mt. Fuji. Choose from two flavorful noodle soups—Yaki Udon and Nabe Yaki Udon. Enjoy a variety of soups made with your choice of noodles at Bamee. Want something a bit more substantial? Consider their Dry Noodle with Pork. It’s a spicy dish made with hot and sour dry noodles with sweet pork, ground peanuts, bean sprouts, chili powder and scallions.